Under this programme, HPS attends all the ordinary and special sessions of the HR-Council and its mechanisms. It also monitors all the meetings of the treaty bodies taking place in Geneva. The programme prepares analytical summaries of the sessions as well as special documentation at the request of coalitions and networks in the regions. This will be again the priority of the HPS Department in 2018 and 2019. Special attention shall be given to the ongoing and new trends in the deliberations and decisions of all these UN bodies. Special attention shall be given to the ongoing and new trends in the deliberations and decisions of all these UN bodies..
“Monitoring” is a broad term describing the active collection, verification and immediate use of information to address human rights problems. work in the field. In addition, monitoring has a temporal quality in that it generally takes place over a protracted period of time. Our method of work focuses on three major dimensions: standard-setting, monitoring, and implementation on the ground. 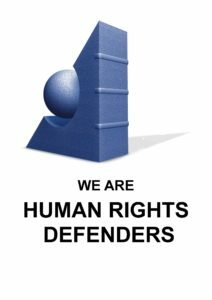 We work to offer the best expertise, and substantive and secretariat support to the different United Nations human rights bodies as they discharge their standard-setting and monitoring duties.